Am I authentically me? Why should I be? The world is changing faster than we can imagine and the extreme pressure on us as humans is underestimated. I believe sometimes, we don’t want to own up to the effect this pressure is having on us, and our health. We don’t want to admit we are stressed and sometimes overwhelmed by the daily demands facing us. There are growing pressures arising from increased connectivity, the internet of things, changes in the political landscape in Britain and the USA, on top of our normal family and job challenges. I truly believe being more connected to who we are at a deeper level can provide us with escape from the mania of the everyday pressures and demands of always being switched on to our technology. I like to refer to the current state we are in as the state of ‘doing’. This is where we are trying to protect ourselves from exposure and therefore control situations, not wanting to look bad, and being fearful of being exposed as a fraud or not knowing all the answers. Also, it is when we compete with other people because this has always been the way to success or getting ahead, right from those early school or university days. I define authenticity as a state of ‘being’. Where we are, firstly, more conscious about who we are; what the drivers of our behaviour are; and what are our values and beliefs. It is when we can clearly differentiate who we are from our minds and the head noise we so easily wrap ourselves in every day. Secondly, we desire to connect with other people in a different way. We forge deeper connections with other people, giving us the ability to suspend judgement, unconditionally accept differences and be less afraid to show our vulnerabilities. We are more inclined to rely on each other’s strengths, to accept each other unconditionally and to create partnerships we had not dreamed possible before. It is when we willingly engage in purpose-driven collaboration with a desire to add to the social economy and make the world a better place. 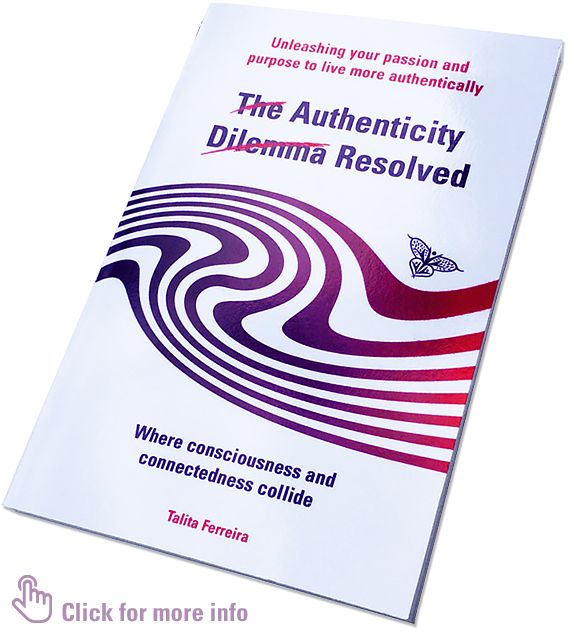 I refer to this as the sweet spot, where consciousness and connectedness collide in “The Authenticity Dilemma Resolved®” my first book. Real authenticity starts with taking small steps to understanding ourselves better and making incremental gains to achieve a deeper knowledge of who we are and what is at our core, as well as our values, purpose, ethics and unconscious biases. 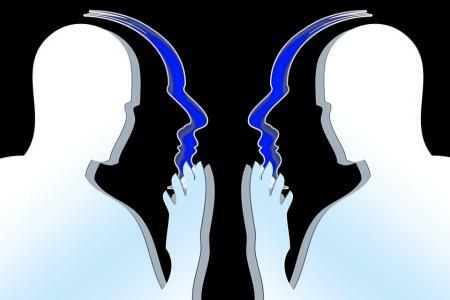 Only when we understand ourselves better can we connect more meaningfully with other people in a business context and in our personal lives. 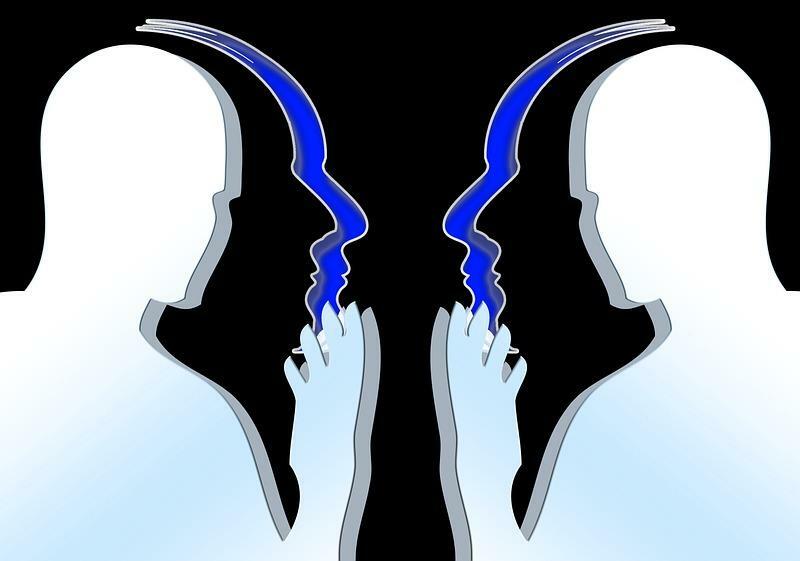 In this new state of ‘being’ we can avoid people pressing our buttons continuously distancing ourselves from the emotion of it and consciously choosing the reaction we want to display instead. In this state, we can live in true congruence with our intention and purpose, connect more deeply with other people and suspend the judgements we have built up through years of conditioning. My intention for us all in being more authentic is to: live happier lives; be less stressed and under less pressure; living and enjoying time spent with other people; and making the most of every day in the here and now.